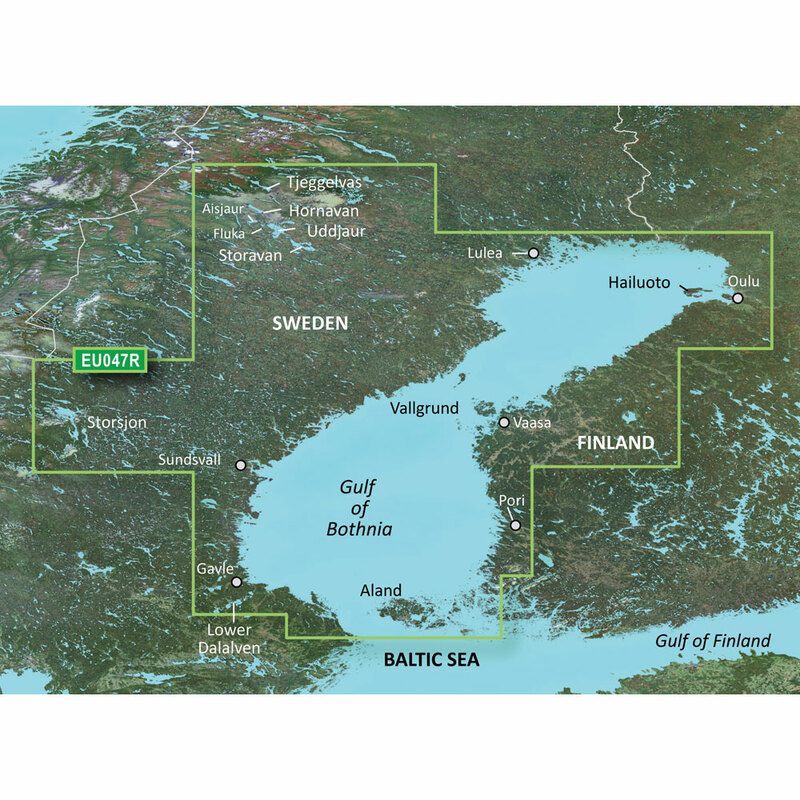 Detailed coverage of the Gulf of Bothnia from Gavle, Sweden through Pori, Finland, including Oulu and Vaasa, Fin. Sweden coverage includes Luleå Skärgård, and lakes Tjeggelvas, Hornavan, Aisjaur, Fluka, Uddjaur, Storavan, as well as lake coverage from Gysinge to Sderfors. Detailed coverage of the islands of Hailuoto, Vallgrund, and land is also included.